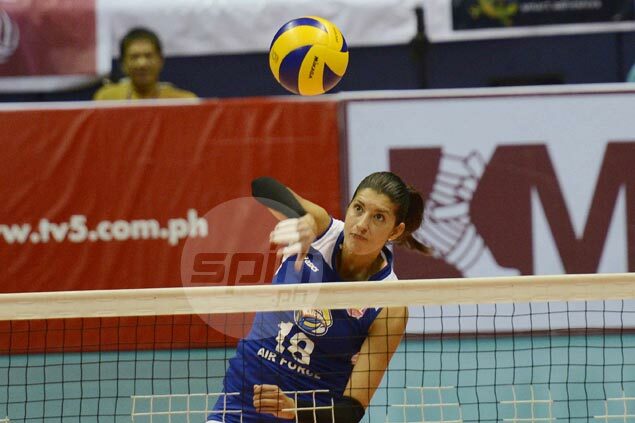 OLYMPIAN Lynda Morales has been tapped as import by Cignal for the 2016 Philippine Superliga Grand Prix next month. The Puerto Rican spiker, who previously played for RC Cola Air Force, will be joined by Laura Schaudt, an explosive 6-foot-5 open hitter from Oregon State University, in the tournament that opens Oct. 1. The HD Spikers have also tapped Paneng Mercado from F2 Logistics and Janine Marciano from BaliPure while bringing back the league’s first Most Valuable Player Venus Bernal. “I like the composition of my team,” said Cignal coach Sammy Acaylar. Cignal has also retained Michelle Laborte, Jheck Dionela and Cherry Vivas. Foton is bringing back Lindsay Stalzer and Ariel Usher while adding Dindin Manabat to join the already explosive core of Jaja Santiago, EJ Laure, Cherry Rondina, Angeli Araneta and Patty Orendain. The Tornadoes will also still be with Italy’s Fabio Menta, who coached the Foton Pilipinas squad that placed seventh in the AVC Asian Women’s Club Championship two weeks ago. Petron has tapped Serena Warner and Stephanie Niemer, who who has played in France, Puerto Rico and Azerbaijan. “I am confident that they can address our needs both on offense and on defense,” said Petron’s new coach Shaq de los Santos. The Tri Activ Spikers also have acquired April Ross Hingpit from Cignal. “We really pushed hard to acquire them because they are what we exactly need."